A global search for the next Dean of the Irving K. Barber School of Arts and Sciences will begin shortly. As set out in UBC Policy 21, an Advisory Committee will consider and advise the President on the candidates before the President makes a recommendation to the Board of Governors. Dr. Patricia Lasserre has been appointed interim Provost and Vice-Principal Academic at UBC Okanagan, effective July 1, 2018. The end of the summer marks an important tradition at UBC Okanagan: the bestowing of the annual Staff Awards of Excellence. UBC’s Okanagan Deputy Vice-Chancellor and Principal Deborah Buszard commented today on the wildfire near Philpott Road in the Joe Rich area several kilometres east of Kelowna. 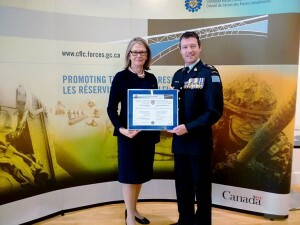 On March 25, UBC Okanagan was among a small group of organizations recognized by the Honourable Judith Guichon, Lieutenant Governor of British Columbia, with a Canadian Forces Liaison Council Provincial Award of Excellence for the university’s support of military reservists who are also employees. 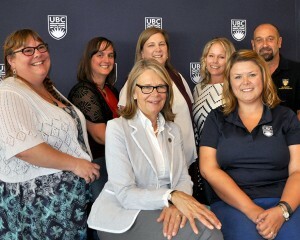 Find out what’s new for the Okanagan campus this year as Deborah Buszard presents the annual Deputy Vice-Chancellor and Principal’s Town Hall fall update (9 to 10:30 a.m., Sept. 3 in the University Centre Ballroom UNC 200). UBC is a supporting sponsor of Catalyst for Growth on May 22.